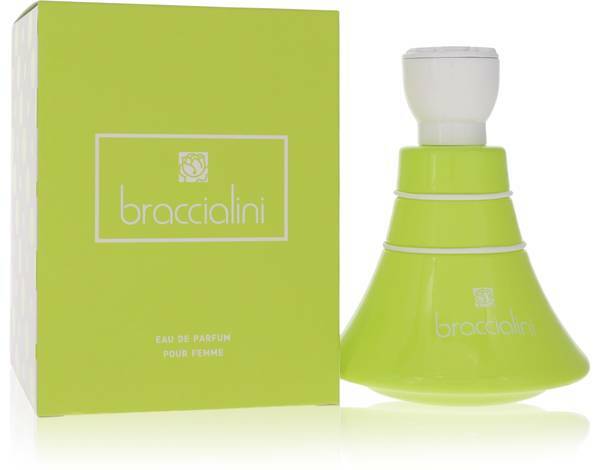 Braccialini Green Perfume by Braccialini, Braccialini Green is an exquisitely fresh fragrance that sets the wearer apart, creating the sense of exuberant life and timeless femininity. Introduced in 2017, the perfume combines florals, fruits, and woody musk for an enduring scent that takes wearers through the whole day. The top notes include a combination of citruses, green apple, and red currant. The heart notes include freesia, jasmine, and water lily. This luscious combination rests atop the Read More Read More base notes of ambroxan (a mellow amber with hints of wood and frankincense), musk, and sandalwood. Roberto and Carla Braccialini first began production of leather bags in 1954. The family business grew from modest beginnings to become a global company with products in countries all over the western and eastern hemispheres. 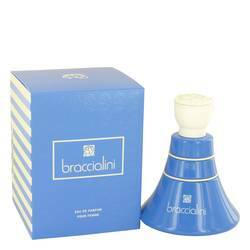 The first perfume in the Braccialini fragrance line was introduced in 2008 and was consistently followed by new additions. Pulling together the benefits of modern technology and traditional values, the line of perfumes that includes Braccialini Green offers women luxurious options in fragrance. Timely delivery. Just like it ought to be.